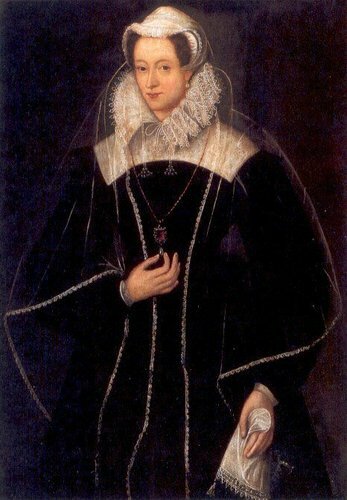 Mary Queen of Scots in Captivity. A painting of Mary during her captivity in England. The artist is unknown, painted c 1580.. Wallpaper and background images in the Kings and Queens club tagged: mary queen of scots mary stuart queen royalty. scotland. This Kings and Queens photo might contain cloak.